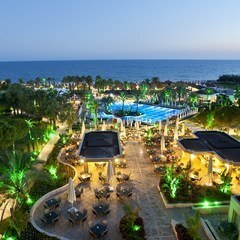 Tourism Hotels in paradise city Antalya are built as a pearl necklace at Mediterranean coast. 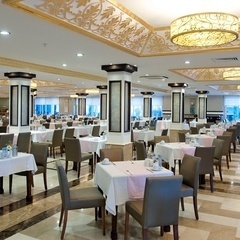 Crystal Tat Beach Hotel, one of the most beautiful hotels of Crystal Hotels Group was built without touching any natural beauty.It is a cute family hotel with all inclusive system and it is built on 102 acres and with 503 rooms and it has blue flag for its clean beaches and sea. 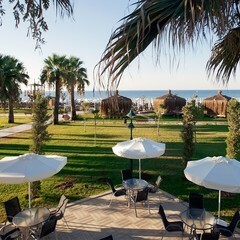 Our wedding partner hotel in Antalya Belek, Crystal Tat Beach Hotel’s green areas are so proper for civil marriage ceremonies. 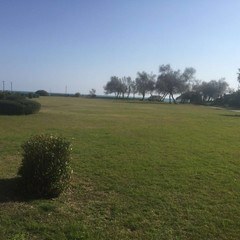 At its green areas which are very close to the sea side it is possible for us to organize marriage ceremony and wedding dinner reception. 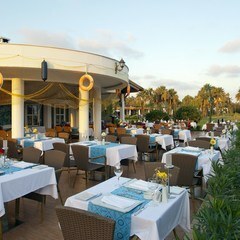 Our wedding partner Crystal Tat Beach Hotel’s wedding menus are prepared with care. 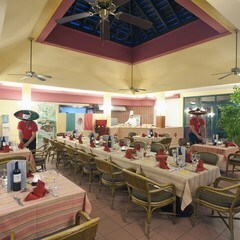 It is a very successful partner wedding hotel which offers world cuisine to its guests. 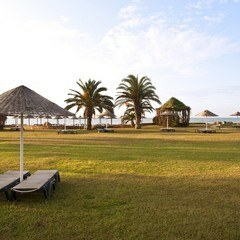 Crystal Tat Beach Hotel offer our wedding groups who want to get married in this hotel its rich indoor and outdoor a La Carte options. 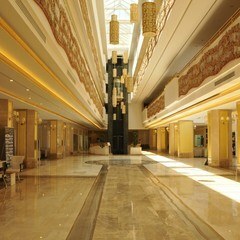 Crystal Hotel chains are internationally known. 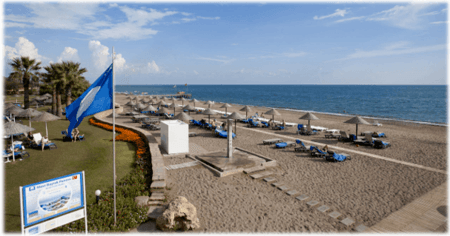 Crystal Tat Beach, one of the cutest hotel in Belek, is a hotel which cares about their guests needs and protects the brand name value of ‘’Crystal’’. 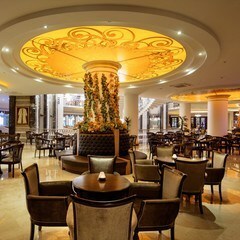 Some important hotels of this brand are; Crystal Nirvana Lagoon, Crystal Amara Dolce Vita, Crystal Sunrise Queen Luxury Resort, Crystal Sunset Luxury Resort, Crystal Palace Luxury Resort…etc. 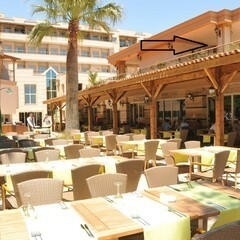 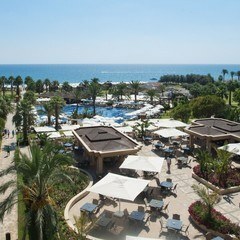 All this hotels are worldwide brand hotels which have an importance in Antalya Tourism. 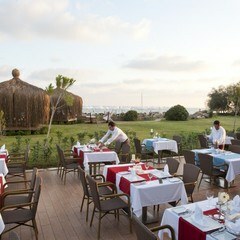 You can check our web page for the wedding package we prepared for our wedding hotel partner Crystal Tat Beach. 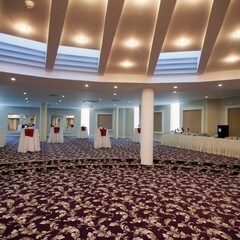 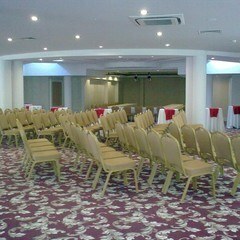 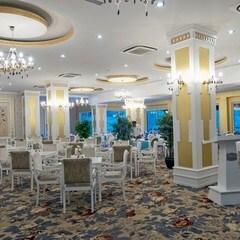 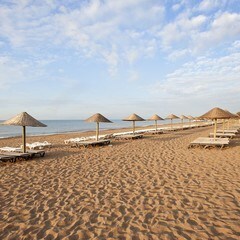 Crystal Tat Beach Hotel management and our company Wedding City Antalya are ready to give you the best wedding service.